Peach pie, peach cobbler, peach smoothie, peach sherbet, canned peaches at lunch, a peach cup for snack, a fresh, juicy peach on a hot summer day… If you are eating peaches, rest assured – they are home-grown right here in CA! 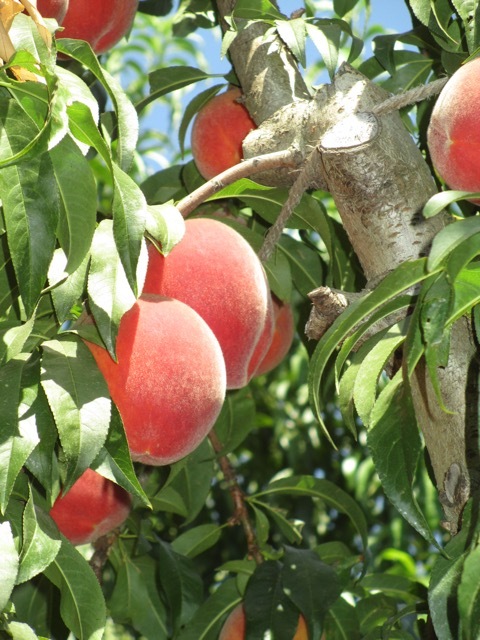 California grows more peaches than the other 32 peach-growing states combined! So basically they’re all local. 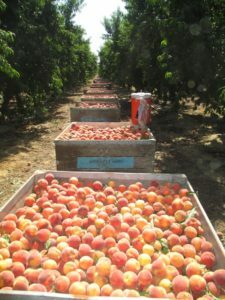 California clingstone (canned or frozen-type) peaches are harvested from mid-July to mid-September, while the California freestone (fresh-type) varieties are harvested from April through October. That’s why August is national Peach Month – it’s the heart of peach harvest! 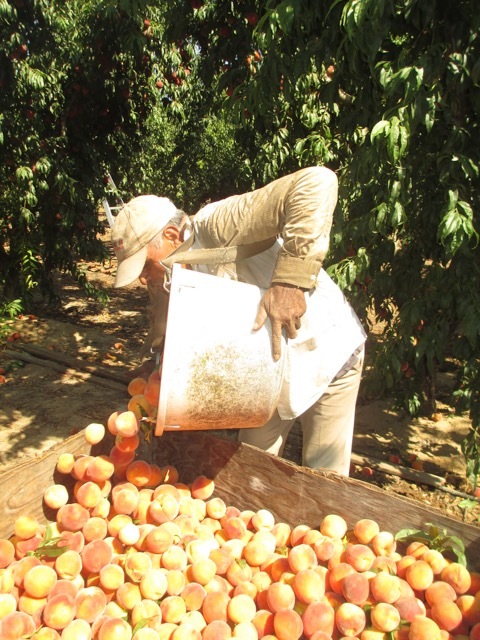 Peaches are an important crop for the Central Valley because of our Mediterranean climate and excellent soils. 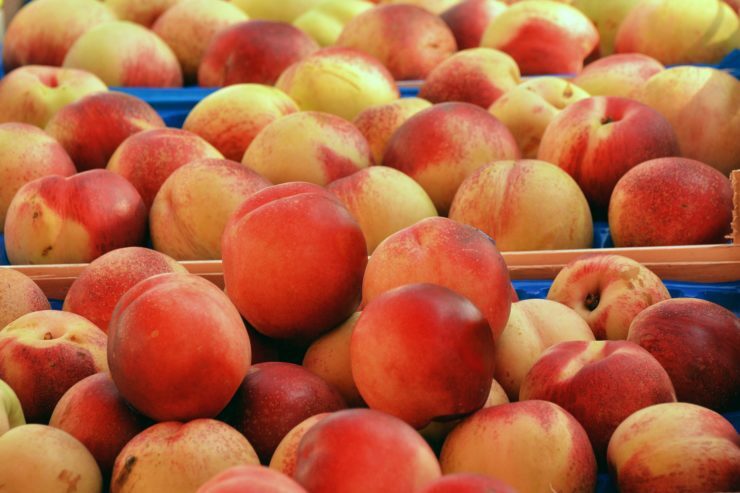 Peaches for fresh market, sold in the grocery store or farmer’s market, are grown mainly in Madera, Fresno and Tulare counties. 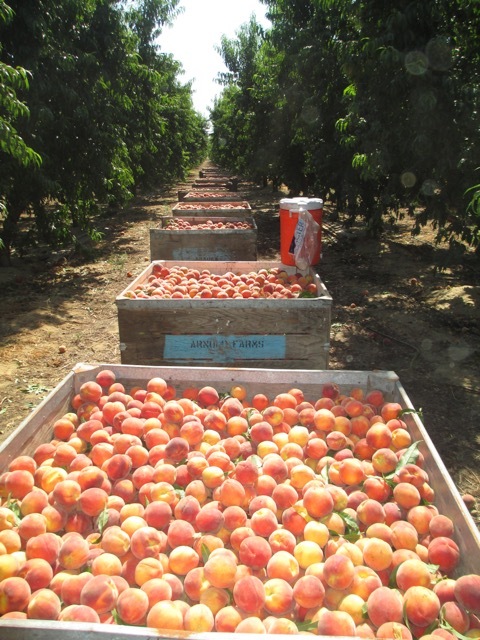 Processing peaches are found in the Yuba City region, southern San Joaquin County, Stanislaus County, Merced County and the Kingsburg area of Fresno County. Fresh market peaches are always freestone. Processing peaches are mostly clingstone and sometimes freestone. Processing peaches can be canned, frozen or used for some other processed use. For example, the Dole processing plant in Atwater, Merced County, makes instant quick-freeze sliced peaches that are prized for making pies and other naturally sweet, delectable dishes. The Arnold family in Atwater, CA has been growing peaches for just over 100 years – so they know a thing or two about getting those peaches to your table. The Arnold Farm has 20 full-time labor employees and the same local crews return every year to work their fields. “Peaches are very labor intensive,” said Craig Arnold, part owner at Arnolds Farms along with his uncles, Glen and Bill Arnold. 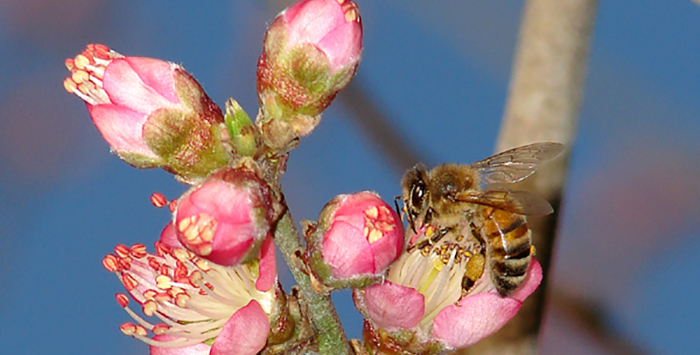 “Our crews know these fields and are skilled at pruning, thinning, and harvesting. A long history in growing peaches has taught the Arnold family to stagger the peach varieties, which will keep a continual flow of peaches to the processor from July through September. All Arnold Farms peaches are processing peaches that are either canned or frozen. Their processor is Dole and sits directly across the road from them, allowing their peaches to be processed typically within hours of arriving at the facility. “There is little nutritional value difference between fresh, canned or frozen peaches so there is no need to eat foreign peaches in the off season – use frozen or canned,” said Craig. Family-grown and local, why else should I eat peaches? They are super good for you! Peaches are naturally fat-free and contain high levels of vitamin A and vitamin C. They also contain carotene and lycopene, antioxidants that improve skin condition and strengthen eyesight. 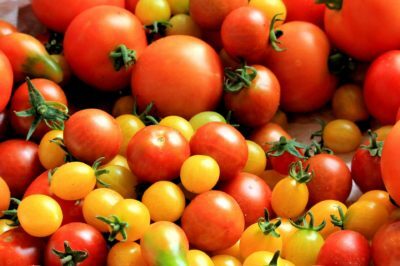 In 2008, scientists discovered that carotene and lycopene increase during the canning process, supporting the claim that cling peaches are a great source of these nutrients. Consumption of fruits like peaches that are rich in vitamin A, is known to offer protection from lung and oral cancers. 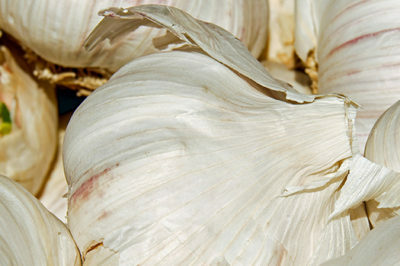 They also contain many vital minerals such as potassium, fluoride, and iron. So get your peach eatin’ on … here is a sweet, icy way to get your daily dose of peaches: Fresh Peach Sherbet!